We at FireBear Studios are always on the lookout to find the best checkout extensions for Magento 2. We’ve reviewed many on the market today, and the most common complaint we’ve heard so far is that existing extensions do not always work with other third-party extensions (such as payment methods, shipping methods and so on). So we went on a hunt for an extension that could handle this and came across this One Step Checkout for Magento 2 extension, developed by Hungersoft. Hungersoft is a Netherlands based company that has developed several Magento 1 & 2 extensions, and are regularly releasing new ones. What’s more is that they also provide excellent support and web-development services to their clients. Their client reviews are outstanding, and only clients who have purchased any product can write a review, so you can trust that these are honest. 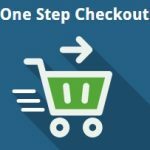 Hungersoft’s ‘One Step Checkout for Magento 2’ extension lets you convert your default multi-step Magento 2 checkout page into a simple one-step checkout page, so you never run the risk of losing a sale at the last step again. Hungersoft’s One Step Checkout extension differs from other checkout extensions in that it is primarily an advanced version of the in-built Magento 2 checkout mechanism. It utilizes all of the standard Magento 2 checkout features and then adds more useful features on top of it. So you not only get to use all the default Magento 2 checkout features, but you also get to choose from a list of amazing features that add to the usability of your checkout page. All module-makers develop, test and guarantee their extensions on standard Magento features. Hungersoft’s extension does too, but as it’s built upon standard Magento checkout features this gives a significant advantage in that it works with all third-party extensions effortlessly. Hungersoft takes pride in this unique approach. If you use this extension, you would never need to run around different module-makers to get their incompatibilities removed/fixed. 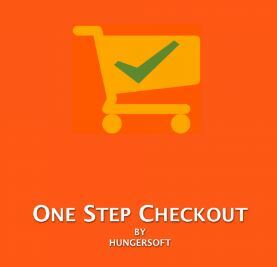 Therefore, Hungersoft’s One Step Checkout extension is technically the most compatible extension with other third-party extensions. There are several additional features packaged into this powerful checkout extension too. The extension allows you to configure the order of the address fields in the billing and shipping address sections, especially useful since different countries have different address formats. In-built integration with Google Places API allows you to provide a geolocation feature that automatically detects your customer’s location and fills their address fields, which makes entering the address easy and quick. 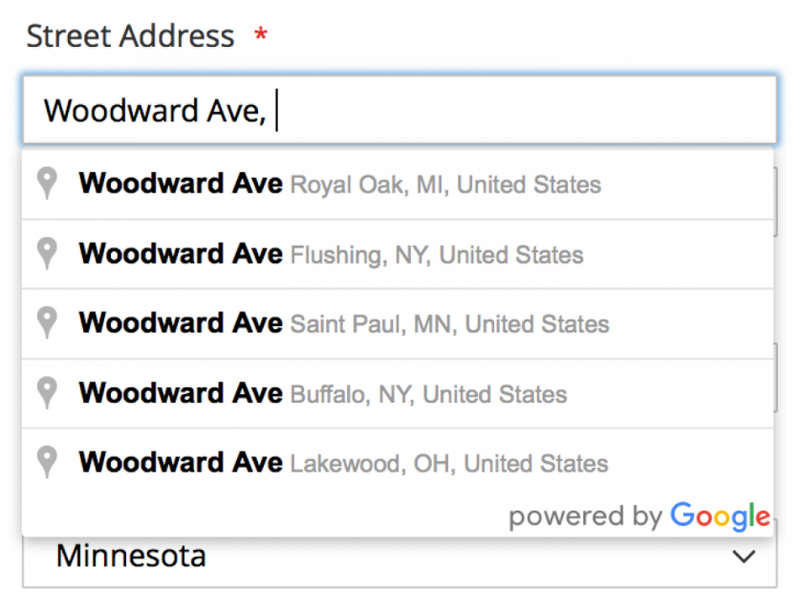 It also allows the customer to type in the street address field with suggestions, allowing the customer to select the exact address. All of this can be configured easily from the Magento 2 admin area. The default Terms and Conditions feature in Magento 2 works very well with this One Step Checkout extension. 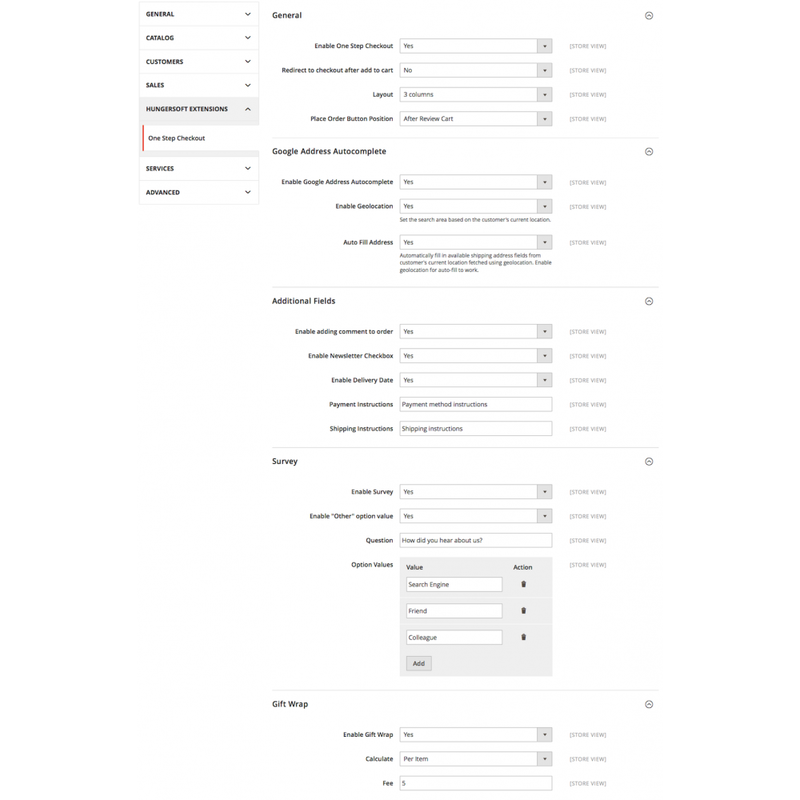 You can add as many checkboxes as you want and configure them quickly from the admin. Clicking the terms and conditions links in the frontend opens a popup with the content that entered in the admin. 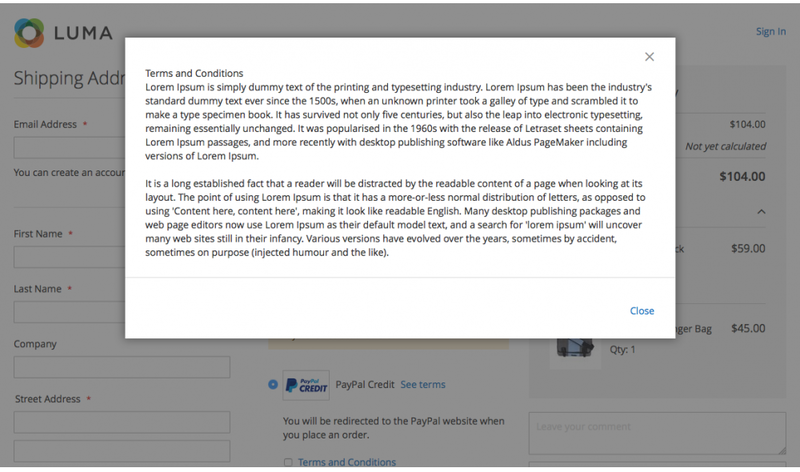 Configurable shipping and payment instructions in the admin allow you to enter shipping or payment related instructions on top of each section. 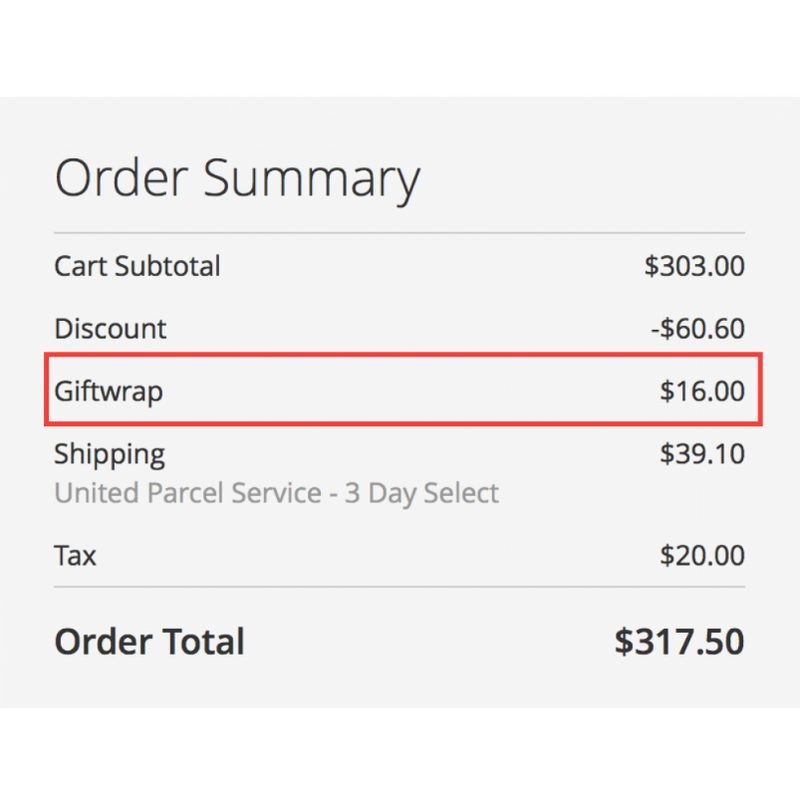 A unique feature that you can use to convey necessary information to your customers about available shipping and payment methods. This information can make sure that customers do not face any issues in choosing the right shipping and payment methods. The instructions can be plain text or HTML. Discount code field is available on the checkout page to apply discounts without having to go back to the cart page, thus preventing the customers from going back and forth to the cart and checkout pages. 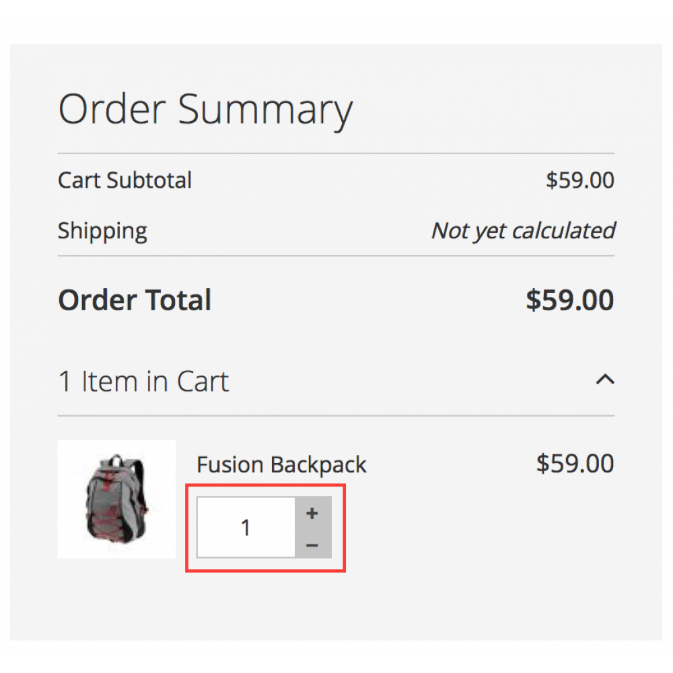 Customers can view their ordered items and modify the quantity (using the +/- buttons or by manually entering the value into the input field) right from the checkout page without having to back to the cart page. 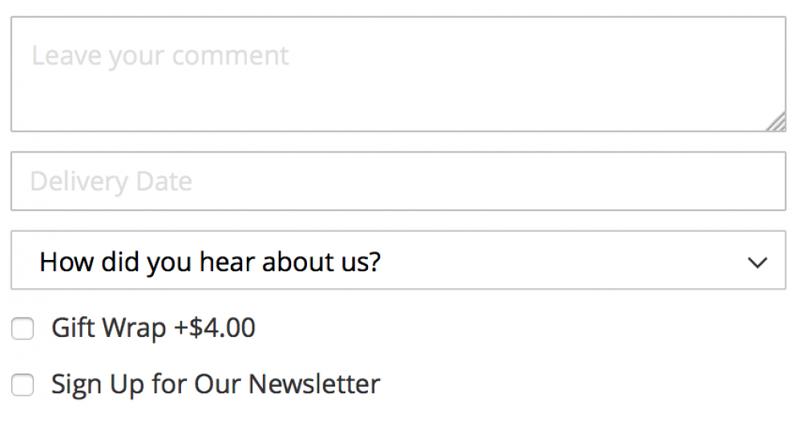 Allow customers to write their comments about the order by enabling the order comment field in the admin. Gift-wrap field allows you to offer gift wrapping for products in the cart. 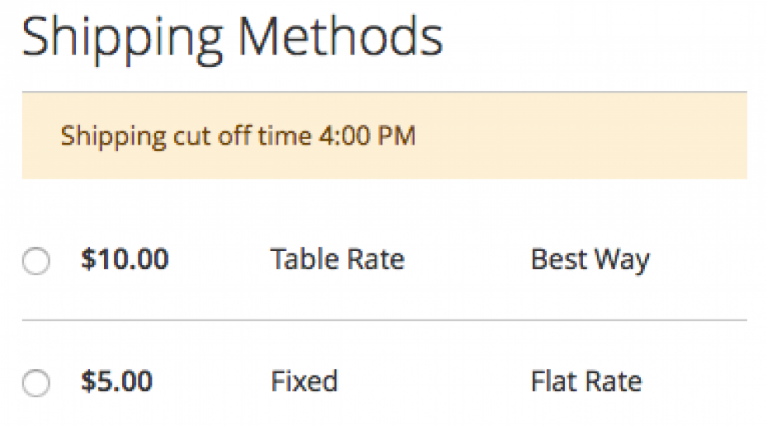 The price for gift wrapping can be on a per order or per item basis which is easily configurable in the admin. Get to know your customer better with this survey question feature. You can provide multiple selectable options as answers to survey questions. You can configure these options from the admin along with allowing ‘others’ as an option. Choosing the option ‘others’ displays a text field wherein the customer can input their answer. You can allow newsletter subscription right from checkout page by enabling this option which displays a checkbox on the checkout page. 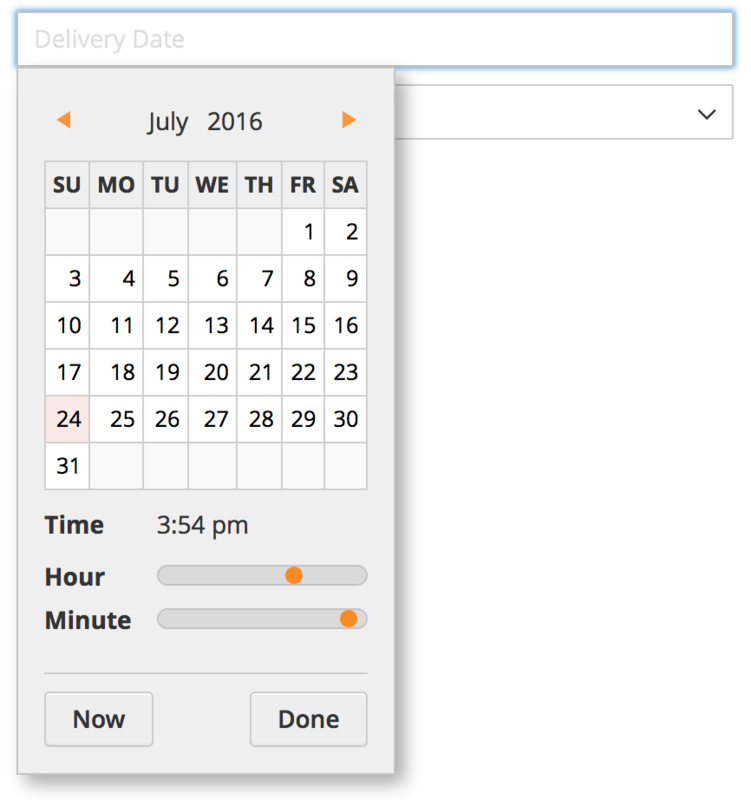 Enabling delivery date and time displays a field by clicking which a date and time picker appears which can be used to select the delivery date and time which can be very useful in the businesses where timely delivery is vital. 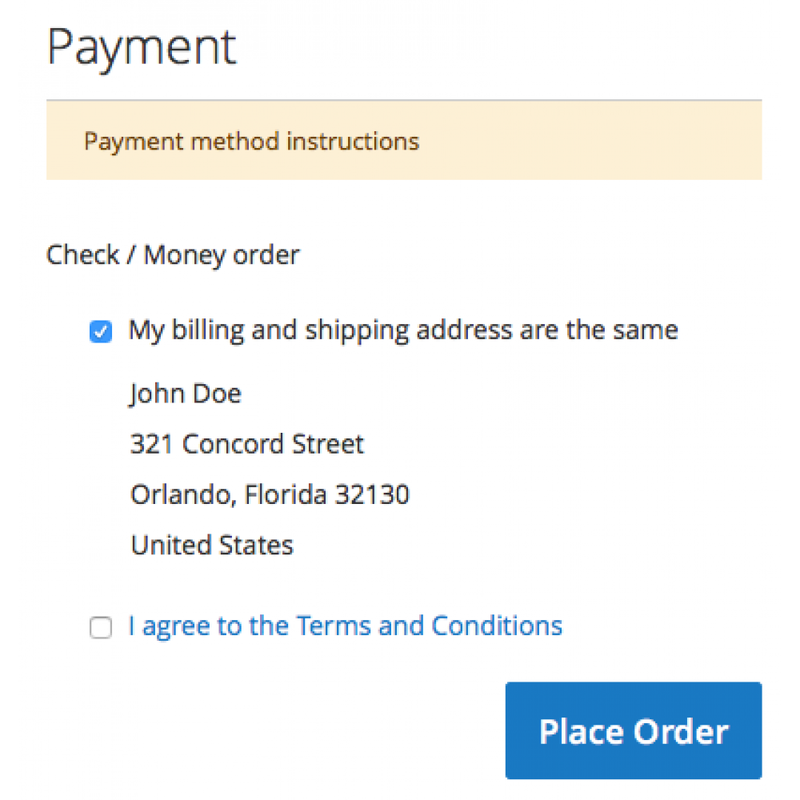 Standard Magento 2 checkout displays the ‘Place order’ button below the selected payment method, and this can be very confusing for the customer. Traditionally the ‘place order’ button is placed at the end of the checkout page, page mostly below the review step. This extension allows you to configure the position of the ‘place order’ button to be either below the payment method or after the review cart and additional information fields. Let’s you choose whichever position makes more sense to you. Along with all these impressive features, Hungersoft offers the best and timely support to all its customers and fixes issues (if any) quickly, and even help you customize the extension to suit your specific requirements. You get to interact directly with developers which decreases the communication lag, and you get expert level support at all times. Hungersoft is also a development service-provider, so they are always eager to help you with all your requirements, unlike other companies that only provide support for the extension you purchased. To summarise, these are all the cool features you get with Hungersoft’s One Step Checkout extension. And the bonus is you get great support from these guys! To conclude, Hungersoft’s One Step Checkout extension is worth every penny. It is very reliable, technically stable and is compatible with all third-party payment gateway extensions built for Magento 2. Being packed with several great features that come in handy for many components of an order process makes it even better. Give it a try!